KAMPALA– The Minister of National Guidance and Information technology Hon. Frank Tumwebaze has suspended the ban on the sale of airtime scratch cards. The Uganda Communication Commission (UCC) together with telecommunications operators had agreed to phase out airtime scratch cards by June 30, 2018. This left many mobile phone users in rural areas that cannot access the electronic recharge system almost cut off communication. However, Tumwebaze who appeared before the House on August 1 revealed that the use of electronic recharge systems was recommended to ban the vending of air time cards as this was directly linked to the selling of illegally registered sim-cards and would facilitate airtime recharge and top-ups manually without any digital tracing which eventually enhanced crime. 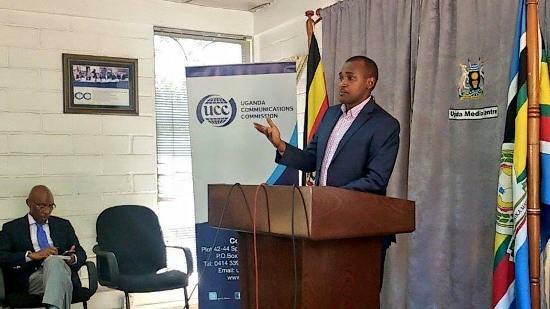 Quoting South Sudan and Zimbabwe who use e-recharge, Tumwebaze highlighted some of the advantages that will come with the ban on airtime scratch arguing it will go a long way into improving the process of directly tracing vendors and eventually their customers who procure airtime electronically. “There is therefore no inconvenience to anybody since the same people and outlets that were selling the paper scratch cards are the same points of sale for the electronic recharge,” the Minister remarked. However, following public complaints, Members of the ICT Parliamentary Committee backed UCC’s decision to phase out airtime scratch cards saying it will curb fraud. Appearing before the committee August 9, UCC boss Mr. Godfrey Mutabazi said, basing on the practice in the region on the use of E-Top Up by major providers in other markets they operate, testimonies indicate that Uganda is on the right track. “We should go digital, it will help in security matters. But if UCC doesn’t check abuses, we will not achieve our goal,” said Hon. Acidiri one of the committee members. The committee however asked UCC not to immediately ban scratch cards, but to carry out a countrywide sensitisation of the public, urging the body to consider dedicating a two-month awareness campaign. Tumwebaze also defended the decision to scrap the scratch cards, saying it’s high time the country embraced electronic recharge system. The ministry is yet to review together with telecommunication companies on the new modalities and how the e-recharge would be accessible to rural folks.